At JARO Hotels & Services, we take very good care of visiting families by providing them with a variety of services that make every one of their stays as simple and pleasant as it can be. Many of our locations provide kids’ beds and baby cribs, a babysitting service, indoor swimming pools, water games, play rooms, movie rooms and arcades. Themed activities that are greatly appreciated by children – meet-and-greet with mascots and movie characters, inflatable games and variety shows – are also taking place in some of our locations during school breaks and the holiday season. L’Hôtel Québec’s rooms offer bright decors and wooden floors. Baby playpens can be rented at all times. For everyone’s enjoyment, a pay-per-view DVD rental service is available in the rooms. Moreover, the Family Vacation Suite featuring a closed bedroom, two single beds and a baby crib, is ideal for the large families who are looking for a turnkey vacation. The suite’s fully equipped kitchenette facilitates snack time and allows guests to cook light meals. The hotel’s indoor tropical garden featuring a swimming pool and water games – waterfalls and waterjets – as well as a seven-story playground with toboggans guarantees hours of fun for the whole family. As if this wasn’t enough, the movie room and play rooms – arcade, ping-pong & hockey tables – are open all day on the weekends. 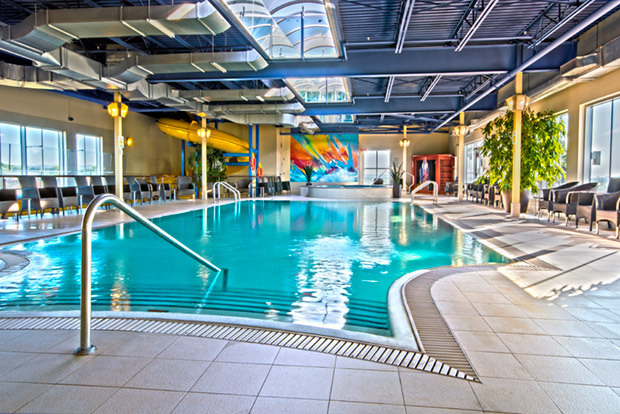 There are absolutely no time to get bored on the weekends, public holidays and school breaks at L’Hôtel Québec thanks to the large number of fun activities awaiting the whole family: arts and crafts, children makeup, dance workshops, exotic animals, meet-and-greets with movie characters including Hello Kitty, Olaf and the Minions, scavenger hunts, variety shows and more. In addition to the hotel’s regular rooms offering functional environments and wooden floors, the Trendy Suites are ideal for families since they can accommodate up to six guests very comfortably. To spend some good time with the family, head to the indoor swimming pool located on the seventh floor. The kids will go crazy over the water slide! Inside the hotel, Centre d’amusement Carie Factory is an indoor amusement park for the whole family. 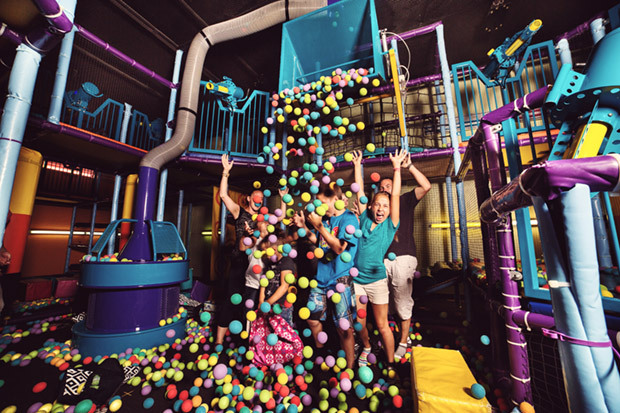 A ball pit with air cannons, a maze game with slides, giant balls and obstacles, an incredible 4D ride, themed activities, more than 40 all you can play arcade games as well as a candy and plush shop are waiting for you inside! Highly entertaining days await at Centre d’amusement Carie Factory! Birthday party packages also available. 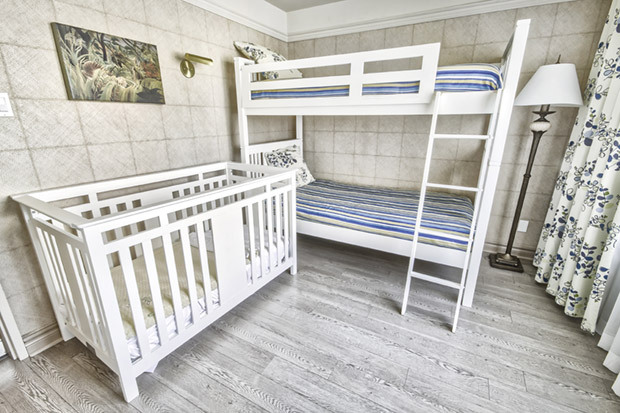 In addition to the hotel’s regular rooms offering friendly environments and wooden floors, the Privilege Suites are ideal to accommodate large families since they are more spacious. Moreover, the Privilege Family Suite featuring a closed bedroom with a trundle bed, a baby crib and changing table is especially designed for families with young children. To play or just relax, the hotel’s indoor swimming pool adorned with palm trees is the place to be. On selected days, an inflatable play module is set up in the garden and the movie room and play room are open all day. A lot of fun activities await the families at Hotel Plaza Québec during public holidays, school breaks, summer vacation and the holiday season. Among them, variety shows – circus, magic, dance –, table games, arts and crafts workshops, and children makeup. Hotel Palace Royal’s rooms provide bright decors and wooden floors. Folding beds, floor mats and baby playpens can be rented at all times. For everyone’s enjoyment, a pay-per-view DVD rental service is made available in the rooms. 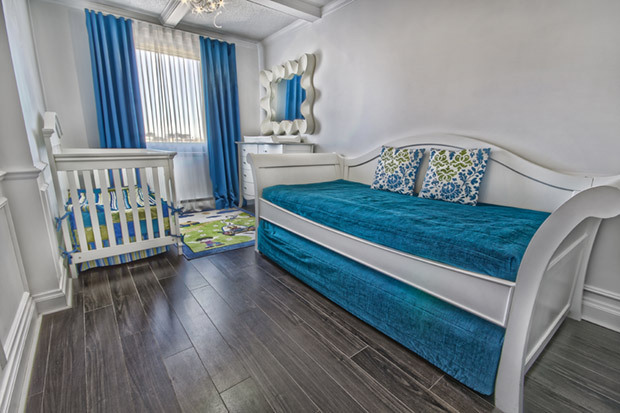 Moreover, the Old Quebec Family Suite and the Honoré-Mercier Family Suite are ideal for large families since they can accommodate up to six guests very comfortably, thanks to their two separate rooms. The hotel’s magnificent indoor swimming pool adorned with exotic foliage and located in the central garden is the perfect spot to spend some family quality time. During public holidays, school breaks and summer vacation, Hotel Palace Royal offers various activities including movie screening, table games, arts and crafts, science workshops as well as festive afternoons by the pool. 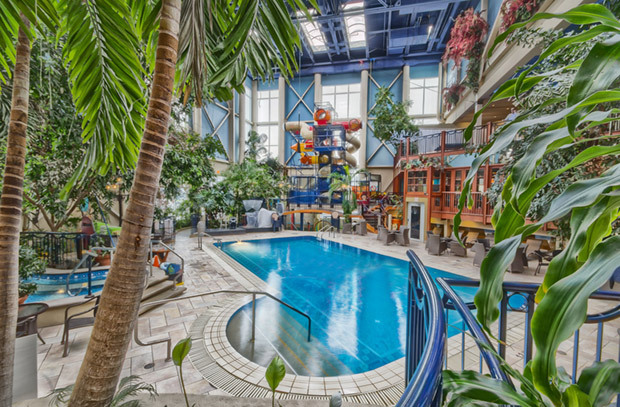 Thanks to the biggest indoor tropical garden in Quebec City, Hotel Québec Inn provides an exotic decor that pleases both kids and adults. It’s always a blast to swim in the pool, gaze at the fish pond, and play a shuffleboard match.